Original Western themed folk/Americana tunes. Jim is a native Texan, a student of the West and a life-long devotee of all things cowboy. His songwriting, guitar-picking and unique vocal style keep him in demand on the Western music circuit, folk music venues as well as at house concerts, coffeehouses, schools and libraries throughout the country. His songs span the wide open spaces of the Western music tradition, not just the cowboy lifestyle, but the land, its culture, and the people of the West as well. 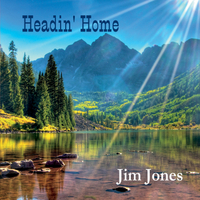 Jim has produced ten Western Americana albums and three highly acclaimed children’s character education videos.